If your room is prepared for movies, it shouldn't be too hard to prepare it for TV shows as well. All the necessary audio and video equipment is already there; the tweaks we recommend have to do with your control solution and network. ProControl offers great intuitive remotes that make channel surfing a breeze. It’s also easy to alternate source components so you can switch from cable to streaming in a matter of seconds. Since streaming services like Netflix and Amazon Video are so popular, ProFocus Home Entertainment would also boost your home network. This would ensure your marathon isn’t interrupted by lagging video or waiting for content to load. Just like with TV shows, the technology that makes for a great movie-watching experience also works for watching your favorite sports. The big screen helps you follow the action down to the smallest detail while a powerful surround sound system from Klipsch makes you feel like you’re in the middle of the action. As far as adjustments to your home theater design when it comes to watching sports, many clients love going with multiple-screen installations. You can install multiple 4K Ultra HD televisions or go with a Screen Innovations screen that can be divided into subsections. This way you can follow multiple games without having to change the channel. Your Klipsch surround sound setup can also be used as a 2-channel system if you want to transform your theater into a listening room. The acoustic treatments included in your home theater design will optimize the audio quality as you listen to your favorite albums. Invest in a motorized screen from Screen Innovations that disappears into the ceiling to finish out the room’s transformation. Why settle for playing video games on your computer monitor or living room TV? Gain a competitive advantage by playing on the big screen. You can increase your peripheral vision and better immerse yourself in the game with a surround sound system. We make sure you have a strong network solution so you can pull up your favorite games without fear of getting interrupted by a bad connection. If you’re using your theater for gaming, make sure to incorporate it into your home audio video. This way you can centralize access to your gaming consoles instead of having to buy one for each room or constantly having to move around the one you own. 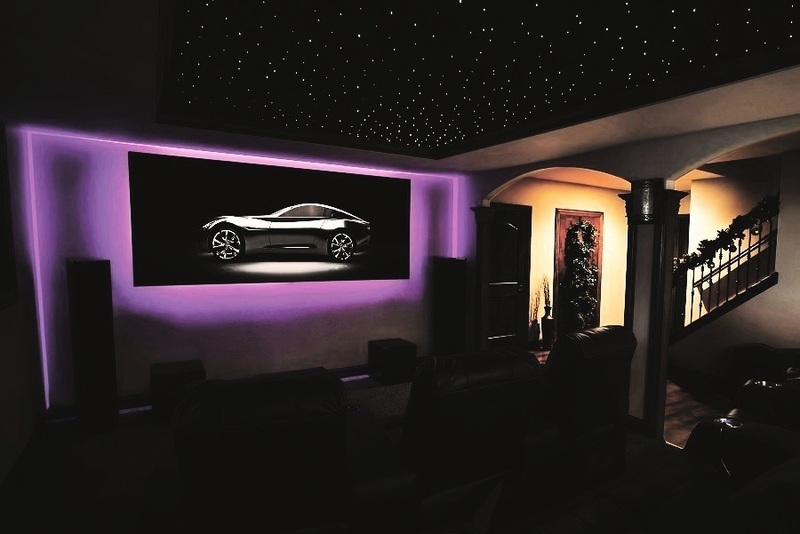 Which home theater design makes the most sense for you? It all depends on how you want to use your space. ProFocus Home Entertainment can help you find out, just fill out our online contact form to set up a consultation.